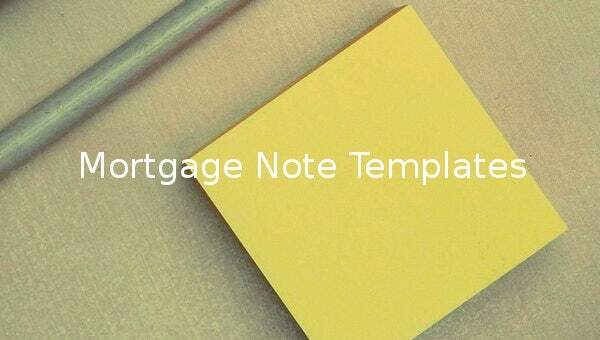 Mortgage Note Templates – 6+ Free Word, Format Download! 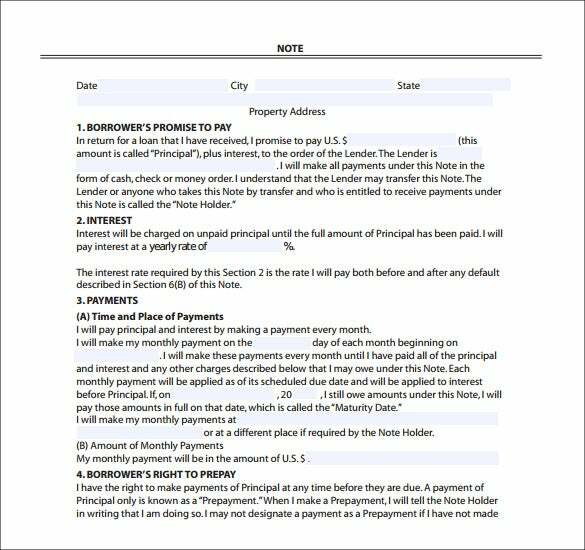 If you are dealing with more than one client in a real estate business agreement, a mortgage note template can help you keep an accurate record of manageable agreements between your clients and you. 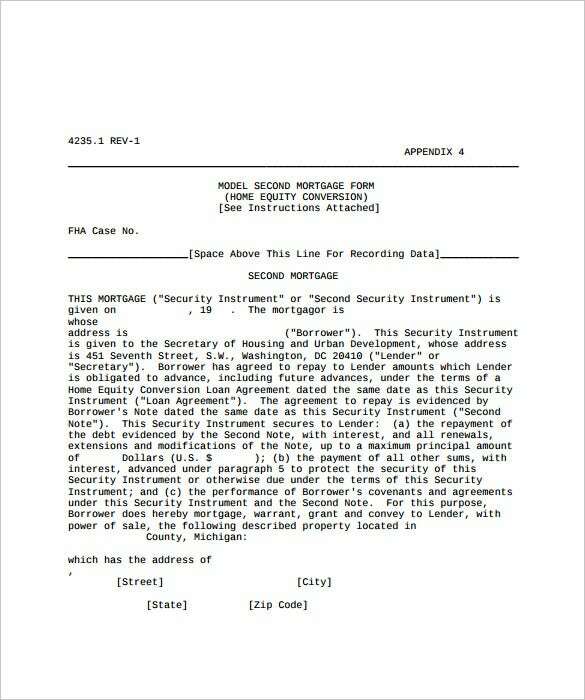 A mortgage note can be long or short, depending on the contract of agreement between you and the client. But regardless of whether it is long or short, the information you write in the word, excel of PDF template should be concise and clear. you may Like Medical Note Templates. prestigetitle.net | When a loan is given against a private asset mortgage, the borrower normally signs in a private mortgage note as an agreement between him and the lender. It contains four parts primarily- borrower’s declaration, rate of interest along with the mode of interest payment, terms and conditions of refund of the money borrowed and terms of repaying the amount before due date. 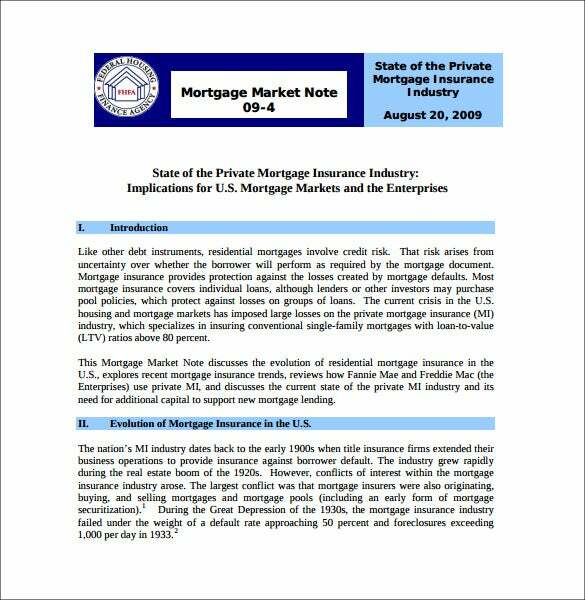 fhfa.gov | Mortgage Market Note is a document that enables the lender and borrower to understand how the present mortgage market is performing, who the major private and public lenders are and how the insurance industry is protecting the mortgaged property through mortgage insurance. This note helps the lenders to better organize their lending system; on the other hand it enables the borrower to find the best deal with his mortgaged asset. egalforms.name | By definition, a balloon mortgage is a short-term mortgage is wherein the borrower requires making payments for a specific period of time on a regular basis, and then repaying the remaining balance within a specific time-duration. A balloon mortgage note makes it easier to keep track of payment dates and regularity, so that the borrower does not have to pay interest unnecessarily.You can also see short-term mortgage. portal.hud.gov | Mortgage loan may be obtainable second time out of the same property if the mortgaged real estate sufficiently covers up both the liens with interests. If the borrower defaults, the first lien and interest accrued are given the first priority. All relevant information on the first borrowing is to be written clearly in the Second Mortgage Note. dptlaw.asia | A real estate mortgage note is a legal document between the two parties where one is called the mortgagor and another mortgagee. In this note the mortgagor offers a real estate property as mortgage against which the mortgagee lends him money with interest for a certain period of time. The details of the mortgaged property and mode of payment of borrowed money in clearly mentioned in the note. 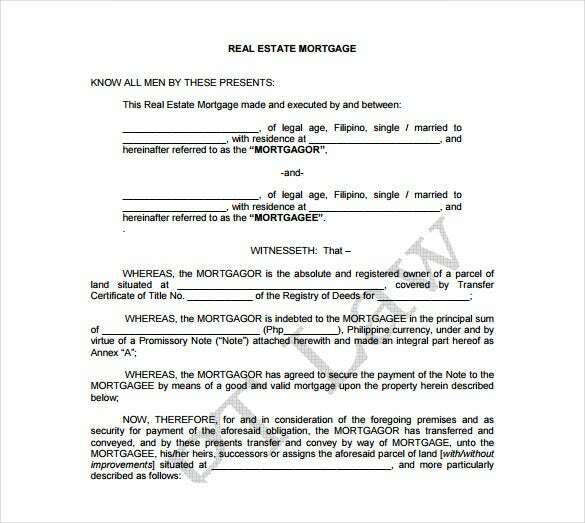 crfonline.orgc | Mortgage promissory note is often used as a proof of lending money against a mortgaged property. The note clearly specifies the loan amount with interest, the due date by which the loan and interest are to be paid back and the facilities the borrower will enjoy in case he pays back before due date. 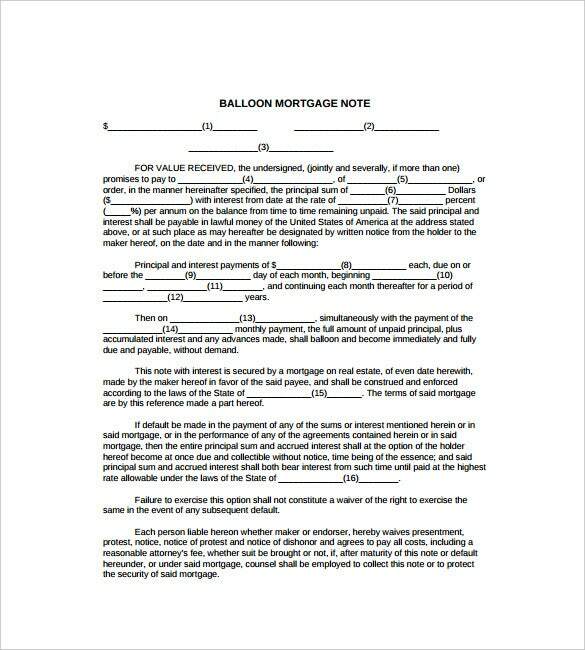 You can use the same mortgage note for multiple clients, because the content of the agreement will most likely be similar. And these Note Templates are free to download, so they save you time, money and resources.